Announcement - a new addition to our team! Mr Martin Widmer who is joining us by June 1st, 2017. His technical skills and knowledge of more than 12 years in the field CO2 and Dry Ice world-wide, will be adding a high value to our team in order to improve our support and services to all of our customers. 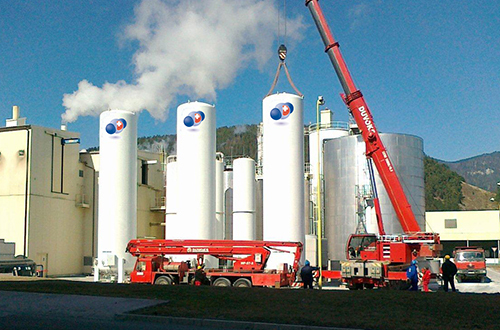 Mr Martin Widmer has successfully directed and commissioned Dry Ice, CO2-Plants and CO2-tanks installations world-wide over the last 12 years. He will be supporting our customers for new projects, providing competent assistance during the evaluation of the right plant/equipment, leading projects to a successful ending and he will be your host for any support you might need in the field of CO2 and Dry Ice. Thank you very much for your trust in our company and team. Welcome to the World of CO2 and Dry Ice. It will be our pleasure to assisting you with our international knowledge and experience of 25 years. 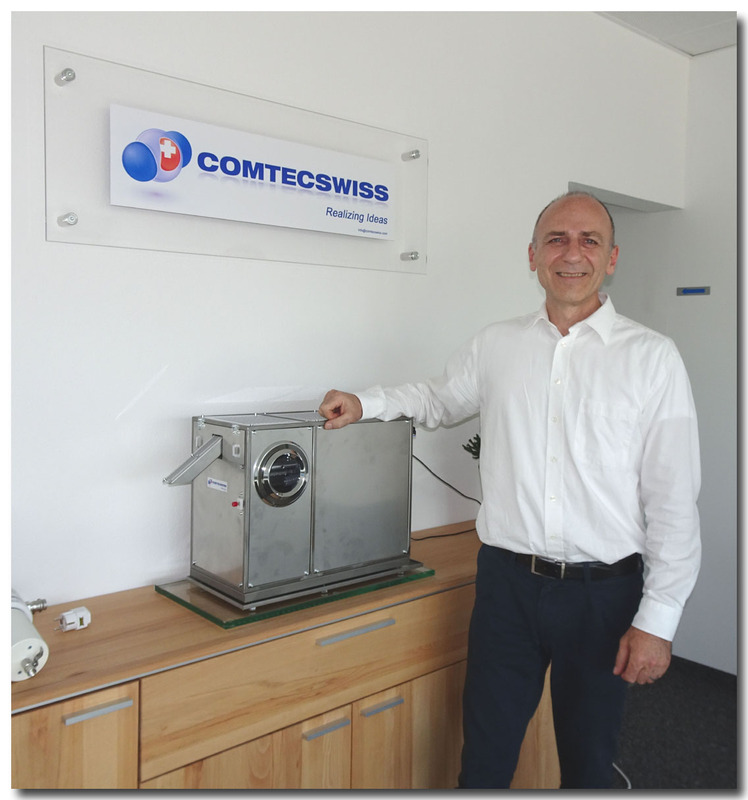 COMTECSWISS specialises in designing, manufacturing and distributing Plants and Equipment for CO2 and Dry Ice. We provide high quality solutions with a unique design and specialist features to the Food, Beverage and Industrial markets as well as Airline Catering globally. We are responding to the opinions and ideas of our customers by providing solutions to meet their goals at best levels. Our strong belief in innovation is cemented in our slogan “Realising Ideas”. Talk to us! Carbon Dioxide (CO2) existing in three phases as Liquid, Gas and Dry Ice at -78°C offers a wide field of application. We are providing know-how and experience out of more than 25 years international activities in this field to realize your project together successfully. 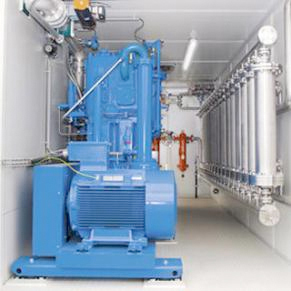 We provide wide range of CO2 and Dry Ice Plants and Equipment for Gas Companies. Out of our international know-how and experience in the field of CO2 and Dry Ice, we are very motivated to realize projects with Gas Companies world-wide. Talk to us for your next project, we are happy to serve you. CO2-Dosing, CO2-Measuring and CO2-Volume control. We provide CO2-Storage, Vaporisation of CO2 and the right dosing of CO2 which are essential equipment for every Water Desalination Plant. Ancillary CO2-Equipment to measure the flow rate etc. are available too. Cooling of Food/Meals in Trolleys using Dry Ice Slices. Food preparation for in-flight catering services uses high dense dry ice slices to keep the food in the trolleys cold and to provide a CO2-Atmosphere to keep the freshness of the food for a tasty presentation of the meals. 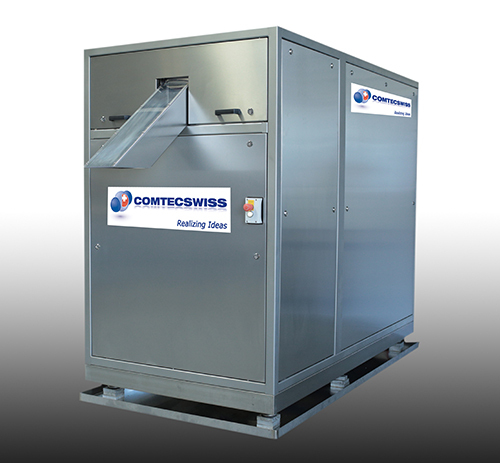 Our TWIN-ICE and TRIPLE-ICE machines provide essential advantages to produce best dry ice. 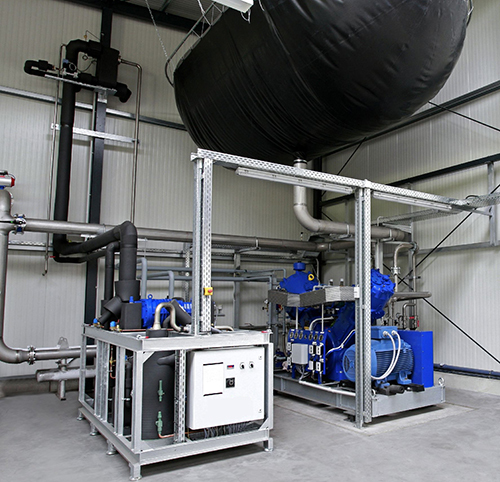 Besides fully, automatic dry ice production sites we also design and manufacture complete range of CO2-Recovery Plants. Purifying Methane and recovering CO2 with containerised design. Compact in design and performance when separating CO2 from the methane gas including purification and liquefying with our solutions can be provided with every BIOGAS Upgrading Plant. 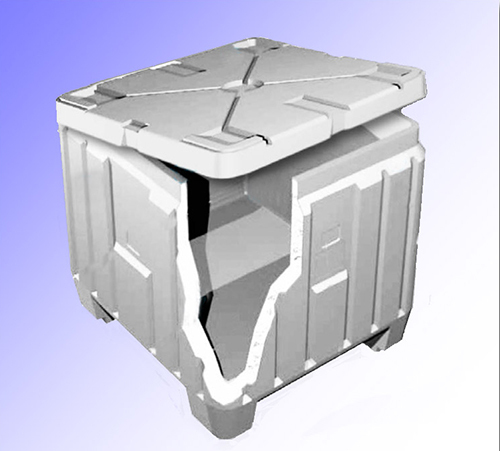 Containerised solutions are available too. Dry Ice Pellets, Slices or Blocks are used to cool or freeze Food. 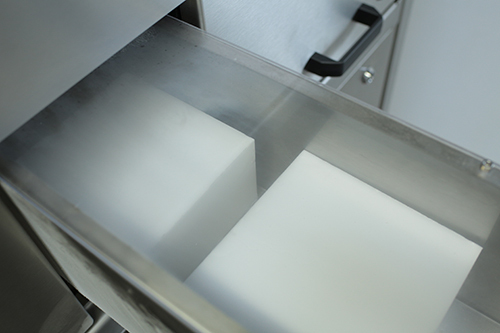 High dense dry ice pellets or blocks are easily produced with our TWIN-ICE and TRIPLE-ICE machines with 50% redundancy in production capacity. Stainless steel execution, easy changeable extruder plates, and many other features are worth to look at. 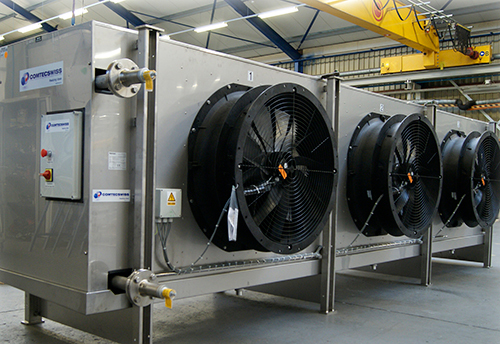 Besides fully, automatic dry ice production sites we also design and manufacture complete range of CO2-Recovery Plants. PH-Control/adjustment by injecting the right amount of CO2-Gas. Waste water treatment or where any ph-level of the water has to be monitored and adjusted, our CO2-Equipment will be the right solution. CO2-Storage, CO2-Vaporizer and CO2-Injection are the right equipment. 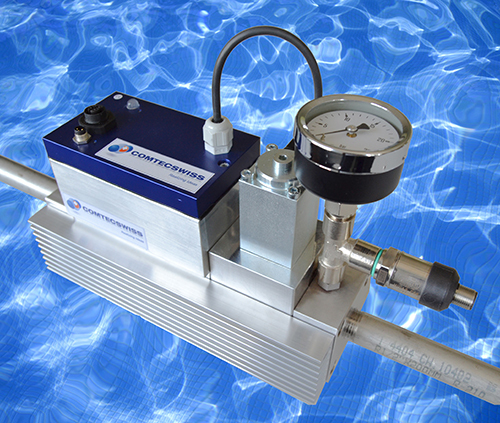 Additional CO2-Equipment to measure flow rate, etc. are available too. 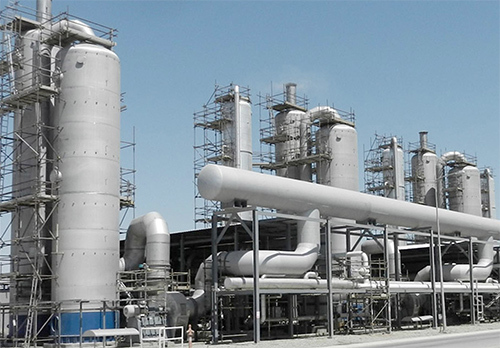 CO2-Gas Recovery Plants, CO2-Storage Tanks, CO2-Vaporizers and CO2-Equipment. Every brewery wants to make use of their own CO2 from the fermentation process. With our designed and manufactured CO2-Gas Recovery Plants we offer the right size of plant to optimize the in-house plant according your equirements. 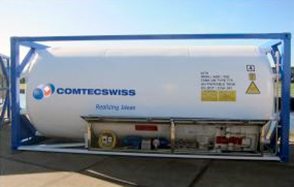 Additional CO2-Equipment such as CO2-Storage Tanks, etc. are available too. Cleaning with dry ice and/or using laser. Find the right equipment for cleaning. Dry Ice Blasting – a unique cleaning method using dry ice pellets, is the right application if non-abrasive cleaning is requested. The thermal shock of using dry ice (-78°C) will clean the surface from any kind of dirt, grease, paint, etc. without affecting the lower surface. 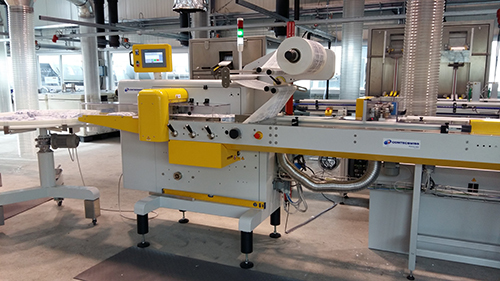 Even cleaning during production will increase the productivity of every production process. Various dry ice blasting equipment and pelletizers are available too. Laser cleaning is used when cleaning tyre moulds to reduce down-time and to clean the mould surfaces from residues. Experience and know-how are the key-factor for you. CO2-Storage Tank, CO2-Vaporiser, CO2-Flowmeter, CO2-Filter. We offer a wide range of plants and equipment which can be used in any Soft Drink Production Plant. CO2-Production Plant, CO2-Storage, CO2-Vaporiser, CO2-Flowmeters, CO2-Ancillary Equipment are available which are used to produce a fizzy soft drink. Ask us to optimize your production and CO2-handling. Our wide range of Equipment and Plants have been developed according to the needs of our international customers during the past 25 years. And we are most motivated to realise further ideas of our customers. Talk to us!